Located in Montreal at 7995, 17th avenue, Palans et Outillages Léger inc. is a family owned company since its establishement in 1960. Its main missions is to offer manufacturers and entrepreneurs quality support when it comes to lifting devices and industrial tools. Over the years, Palans et Outillages Léger inc. has developed a genuine expertise when it comes to industrial tool rental, repairs, and sales. With its team of engineers and people with more than 30 years of experience in the field, Léger rely on technical knowledge to use its expertise to be the reference for your projects, whether simple or complex. 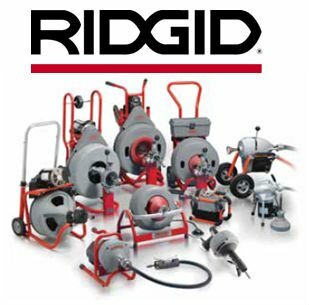 As master distributor and certified repair center for the majority of brands we represent, we are specialized in the sale, repair, certification and rental of lifting equipment (hoists, cranes), hydraulic (cylinder, bolting) and tools for plumbers (cleaning drains, digital inspection, localization), electricians (cutting, crimping), construction (threading, pressing) and many others. An expertise that is put to good use every day when serving its loyal customers: Kruger, Rio Tinto, Wajax, ArcelorMittal, etc. Administration: Jean-François Clément, Maryse Trevisonno and Gabrielle Gauthier ensure all your business matters are in order. Sales: Francis Fazzari, Jacob Pélissier, Jérémie Marcoux, Magalie Marcoux and Michel Mathieu are here to listen and advise you. They always have an answer to your questions, as well as effective, economical solutions! Repairs: Vincent Meilleur will guide you from the minor repairs to complete machine overhaul. Our workshop’s experts are certified by the manufactures. Charles, Denis, Jeannot and Maxime make you enjoy their vast experience in repairs and maintenance. Also, our work is guaranteed: we undertake elaborate machine testing before returning the equipment to our customers.